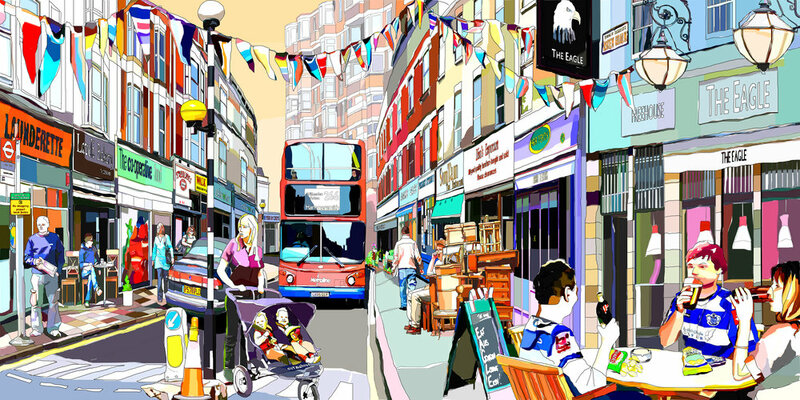 With all of my Street Scenes, you can either choose to buy the print as part of the limited edition (see my online shop below for details & prices), or you can opt to 'Get Sketched In' to them. 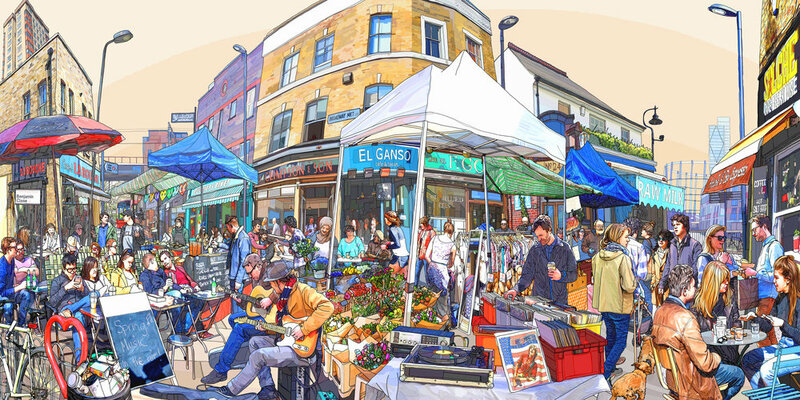 I charge £50/person to 'Get Sketched In' on top of the price for your print. Prices will vary, depending on the extent of work involved, the print medium and the size of print you choose. 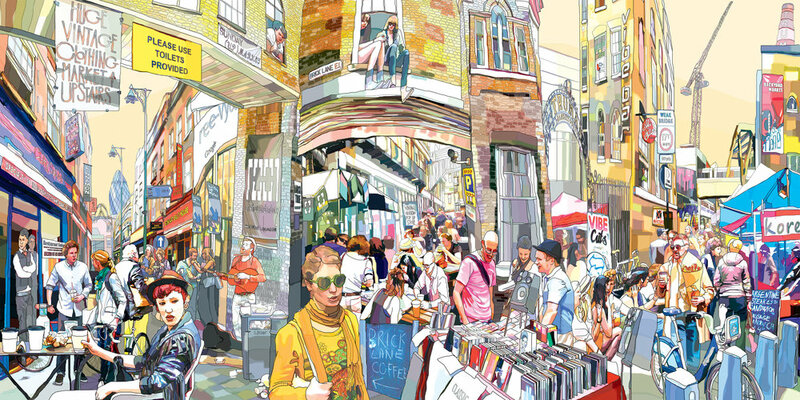 Here is how you can 'Get Sketched In. Take some pictures of yourself in roughly the correct position. It is always best to take some of you from slightly different angles and also a few close ups of your face. And then email me them through. 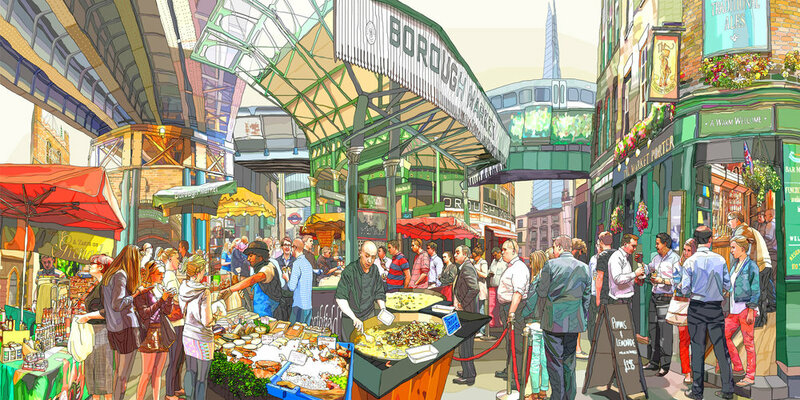 This example shows how some previous clients were sketched in to the Southbank Scene. I'll piece them all together in to a photo-montage, which I'll then position over the background sketch and ask you for your comments before I start sketching from it.